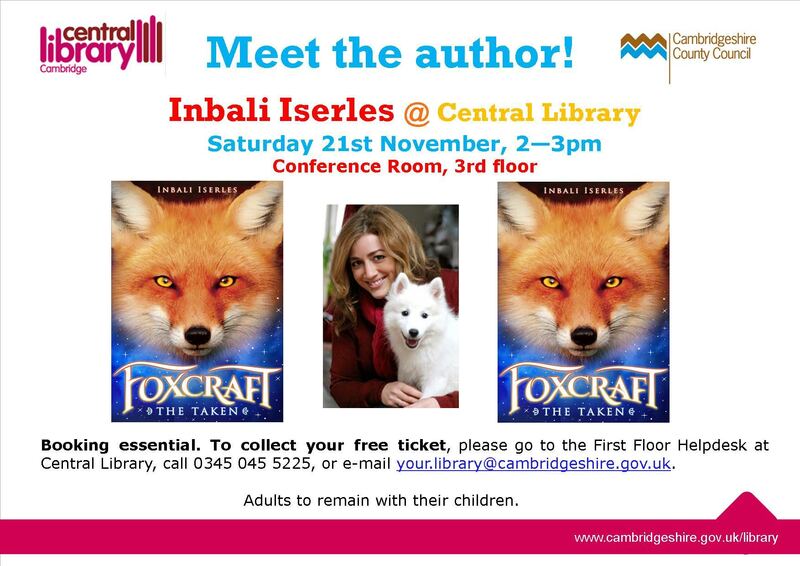 At 2pm on Saturday 21 November, I’ll be appearing at Cambridge Central Library. Join me to talk about animals, books and the life of a writer. Tickets are FREE, but booking is essential!